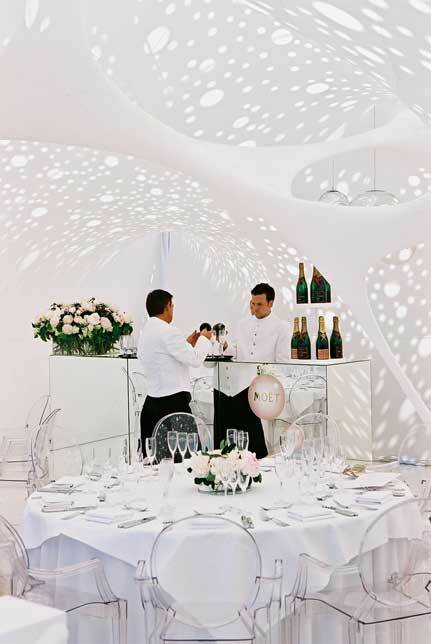 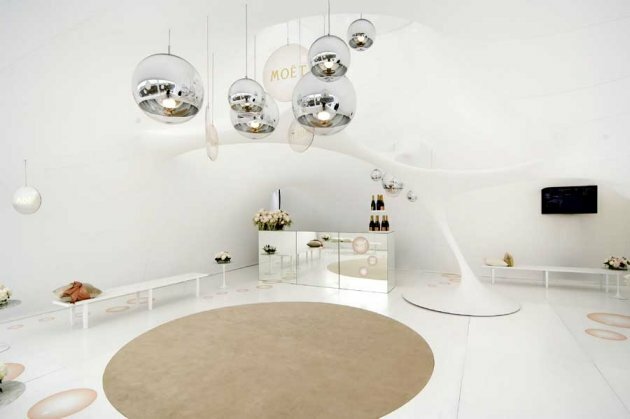 The Sydney, Australia based PTW Architects designed this Marquee for the champagne producer Moët & Chandon that was used during the Melbourne Cup horse race. 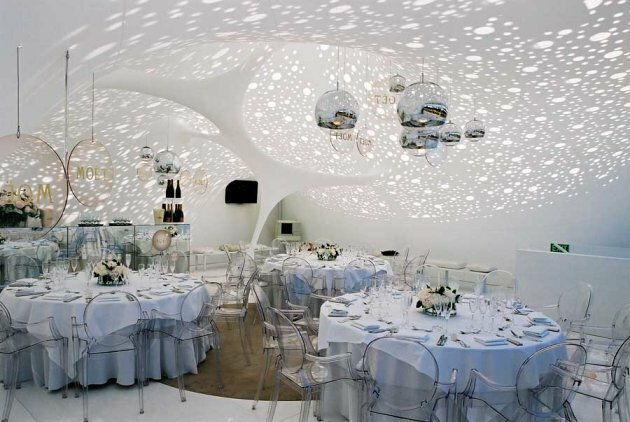 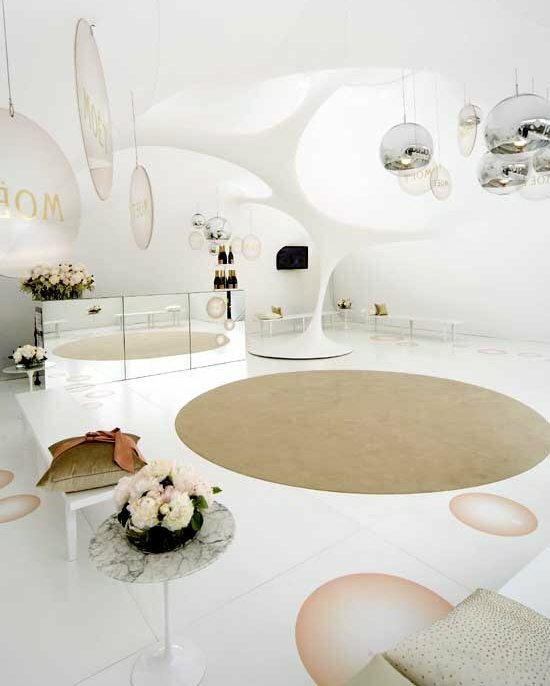 PTW has used the latest digital technologies from concept to realisation of the design, to create a sparkling and surreal atmosphere in the name of the “bubble-ism”. 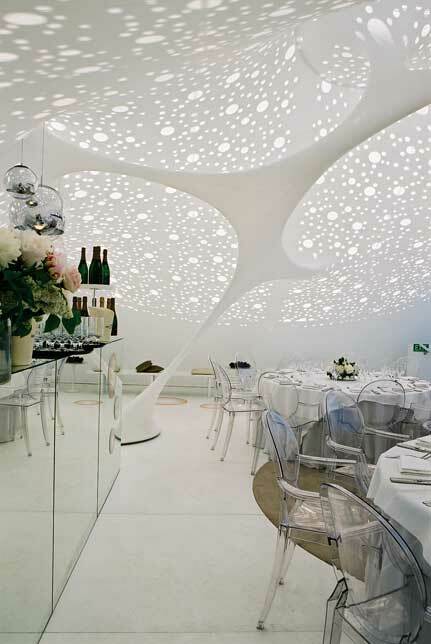 Through the use of daylight and a tensioned Lycra material that is digitally patterned and custom-tailored for the space, a 10 by 10 off-the-shelf marquee is transformed into a space that the press describes as an “avant-garde environment not of this earth”. 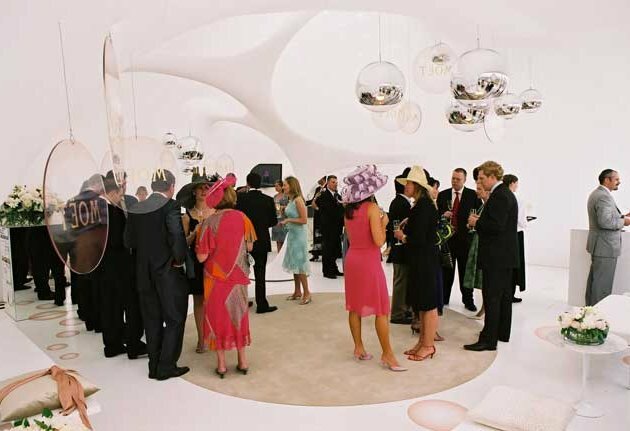 Visit the PTW Architects website – here.